I got a lot of questions about differences, for example, in Task Table when Project has Baseline, and The Task is deleted. I will show you what do in MS PROJECT 2013! As you can see Total Cost is equal to Baseline Cost, because there is no difference between Planned (Baseline), and Actual Costs! As you can see, Total Cost is $3.200 (Task 1 = 1 day e.g. 8 hours * $100 = $ 800, and Task 3 = 3 days e.g. 24 hours * $100 = $2.400! 800 + 2.400 = $3.200). But Baseline cost is $4.800 (Task 1 = 1 day e.g. 8 hours * $100 = $ 800, Task 2 was = 2 days e.g. 16 hours * $100 = $1.600, and Task 3 = 3 days e.g. 24 hours * $100 = $2.400! 800 + 1.600 + 2.400 = $4.800). Variance is, logically, –$1.600. That is easy to explain whit such a simple example when only one Task was deleted, and only one Resource was suppose to work on that Task. But, what if you delete, for example, 34 Tasks, with a lot of Resources assigned to them with different pay rate? 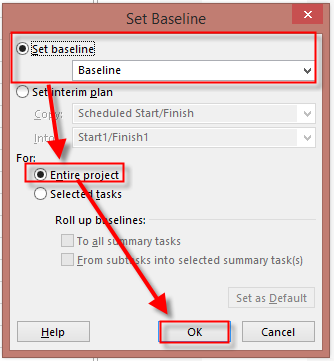 Yes, you can save the new Baseline, but what if you want to keep track of those deleted Tasks? In that case you will find yourself lost! But, there is much better solution. Inactive Tasks button. Now, everyone can see where the differences are coming from. To conclude, when you create Baseline, do not delete Tasks after that. Make them Inactive instead! This entry was posted in MICROSOFT PROJECT, Microsoft PRoject 2010, Microsoft Project 2013, MS PROJECT 2010, PMI, PRoject Management and tagged MS PROJECT 2013 - Baseline, MS PROJECT 2013 - deleted Tasks. Bookmark the permalink. Hi Nenad, do all versions of project have the deactivate function? If not, is there a workaround? I will write a post about this workaround!